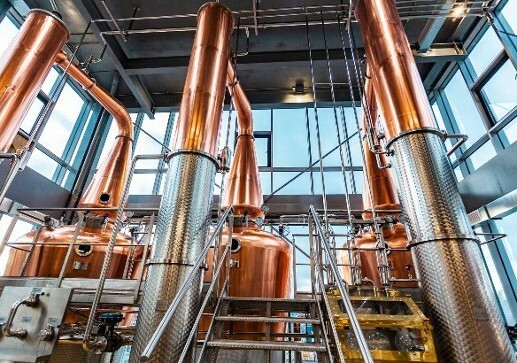 The Clonakilty Distillery and Visitor Experience is Clonakilty town’s newest attraction to open its doors to the public. A must-see for the growing numbers of Irish whiskey fans, those with an interest in the history of distilling or anyone wanting a hands-on experience of a real working distillery in action. Combining world-class visitor facilities, the very best in multi-media presentation technology and knowledgeable expert guides, visitors will experience ﬁrst-hand the smell, sound, feel and taste of a distillery creating genuine Irish spirits. With adult prices from just €15, book your tickets now on their website. The Classic tour involves a one hour fully guided tour including a cinematic experience and the opportunity for visitors to immerse their senses in a behind the scenes tour of a working distillery. Here visitors will learn about the importance of our Wild Atlantic location and the influence of this environment on our unique spirit collection. At the end of the tour visitors will enjoy a tutored tasting with our expert tour guide, sampling our premium quality whiskey. They will learn how to understand, enjoy and savor whiskey, just like the experts! Finally visitors can browse our distillery shop with exclusive offers and a unique fill your own bottle offering. There is a total of three tour options available the Classic tour, the Premium tour and the Connoisseur tour. Each tour includes a one hour fully guided tour however the tasting at the end differ for each. All tours include a taste of our products (over 18’s only). There is a 10% discount for groups of more than 10 people. Tours run from 11:30, 2pm and 4pm. The Visitor Experience is currently open Tuesday to Monday but will be open 7 days a week after Easter. For those wanting a more hands on experience, our Gin School offers small groups the chance to make their own special gin. 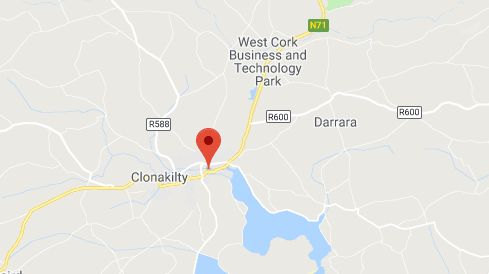 Those wanting more information on pricing and tour times simply go to the website www.clonakiltydistillery.ie or contact via email: visitorcentre@clonakiltydistillery.ie or phone: 023 8878020. We stayed in Clonakilty for 4 nights and loved it. So much to do. Beautiful beaches. Lovely pubs and such friendly people! Can't wait to come back! A charming, yet cosmopolitan little gem, set in a stunningly beautiful part of the Emerals Isle. Great food, friendly people with immense sense of civic responsibility. Do not miss the music scene. I love Clonakility! Whenever we visit the Cork area we can't resit a stop off! Great Cafes & Restaurants. Very Pretty Town, bustling with life and Activity!!!! A great town vibrant and pretty. Always plenty to do. Always clean and with the most friendly people. A must visit for both visitors to Ireland and native Irish. Great pubs, cafes and restaurants. The most vibrant small town in Ireland. Always something happening. Great food, great atmosphere, lovely people. We found Clonakilty to be one of if not the friendliest place we've ever visited. The people of "Clon " treated us like we had lived there our whole lives.They welcomed us into their lives like we were family. Great town . "The people are Splendid" to use a quote of the towns most Famous famous residence Michael Collins. The food and choice of food is excellent, the layout of the town with it meandering streets creates an intimacy with this place.